Divorce and bankruptcy create a chicken-egg scenario, with couples wondering which they should file first. Whether bankruptcy should be filed before or after filing for divorce depends on several factors including the type of bankruptcy being considered. Being well-informed and doing careful planning will make the divorce and bankruptcy simpler and less financially burdensome. The filing fee for a bankruptcy is the same for an individual or joint filing. This means that filing a joint bankruptcy with a spouse prior to a divorce can reduce court fees. In addition, attorney fees are typically much lower for joint bankruptcies. To avoid a conflict of interest, the attorney should be informed of a planned divorce. Filing for bankruptcy before filing for divorce can simplify the division of property and debt, reducing divorce costs. A Chapter 7 bankruptcy can be discharged after a few months, making it suitable to file jointly before filing for divorce. Using a joint bankruptcy to eliminate debts simplifies property division during divorce. Chapter 13 bankruptcy includes a repayment plant that runs for three to five years. A couple planning to file Chapter 13 should consider doing this individually after divorcing. If a couple files for bankruptcy during divorce, an automatic stay is placed on property division until the bankruptcy is completed. In addition, just because the divorce decree orders one spouse to repay a particular marital debt does not leave the other spouse off the hook in the eyes of that creditor. The second party may be forced to repay the debt if the other spouse does not or files bankruptcy. However, reimbursement can be requested from the ex-spouse due to divorce decree violation. Bankruptcy and maintenance (commonly known as alimony) is another interesting topic. An obligation for maintenance or alimony typically cannot be discharged during bankruptcy. However, if the divorce decree specifies an obligation as alimony but it is not in the nature of alimony (such as a marital debt), this obligation may be dischargeable through bankruptcy. An alimony obligation may also be dischargeable if assigned to a third party. For divorcing couples with children, bankruptcy and child support can become a concern. Ongoing and back child support payments are typically not dischargeable through bankruptcy. A bankruptcy does not put a stay on actions to establish or modify obligations regarding child support or even actions to establish paternity. The complexities above illustrate that couples who are considering divorce and bankruptcy have much to think about before making any decisions. It is a wise decision to consult expert bankruptcy help for a free consultation because of these complexities. What happens when one spouse files bankruptcy during divorce? When this occurs, all property purchased or acquired during the marriage becomes part of the bankruptcy estate. This means it can be used to repay debts. The automatic stay issued after a bankruptcy filing prevents creditors from collecting on most debts. However, it does not prevent the non-filing spouse from requesting payment for alimony or child support. During the bankruptcy process, the court will determine which property is exempt from the bankruptcy estate. Federal Bankruptcy Code and state laws determine property exemptions. 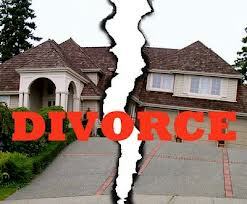 A divorce court will then divide the exempted property between the spouses. Divorcing spouses should obtain legal representation to increase the likelihood of getting property that they believe they are due. A divorcing spouse may file for bankruptcy specifically to avoid paying alimony or child support. However, even bankruptcy is not enough to eliminate these obligations. The spouse who owes the money must pay these debts in full as if bankruptcy were never filed. When filing Chapter 13 bankruptcy?during divorce, the spouse responsible for child support or alimony must include the full amount in the repayment plan. Bankruptcy and alimony obligations are subject to two exceptions. If the obligation to a spouse is listed as alimony in the divorce decree but does not have the nature of alimony, it may qualify for discharge during bankruptcy. An example is the repayment of a marital debt to a creditor. In addition, if an alimony obligation is assigned to a third party for collection, the amount that is assigned can be discharged if the paying spouse files for bankruptcy. There are also complexities in the relationship between bankruptcy and child support. An attorney experienced with bankruptcy law can explain the nuances. For example, even back child support payments cannot be discharged through bankruptcy. In addition, debts in the nature of support of a child cannot be discharged. These are debts incurred by a parent that relate to the welfare and upbringing of a child but are outside of debts arising from owed child support payments. If you are considering filing for bankruptcy during divorce, learn more about the ramifications. A?bankruptcy lawyer will explain whether now is the correct time to file and will inform you of the different effects of Chapter 7 and Chapter 13 bankruptcies. Being fully informed enables you to make the best decision regarding bankruptcy while going through the divorce process.